9 Mile Training run along San Vicente and along the bluffs overlooking the beach and Santa Monica Pier. 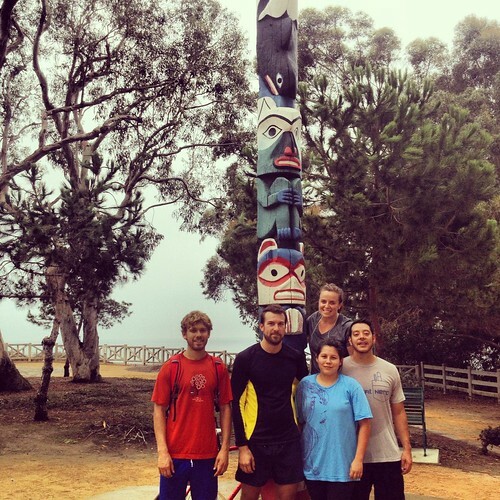 7:15am meeting at the Totem Pole on the corner of Ocean Avenue and Adelaide Drive, in Santa Monica (map) and running east along San Vicente to Bundy (map) and back (6 miles), then running to the Santa Monica Pier (map) and back (3 miles). All abilities welcome! As a group we will be running at a 10 min mile pace, but there is no pressure to stick with the group, feel free to go faster or slower. Also feel free to scale the length down to whatever distance you are comfortable with. Come run in the beautiful and peaceful neighborhood of Brentwood, along the bluffs, and join the thousands of other runners who wake up bright and early every Saturday morning as they train for the LA Marathon. 10/27/12, Saturday, 7:15am. Ocean Avenue and Adelaide Drive. Email frank@paradisocrossfit.com if you have any questions.